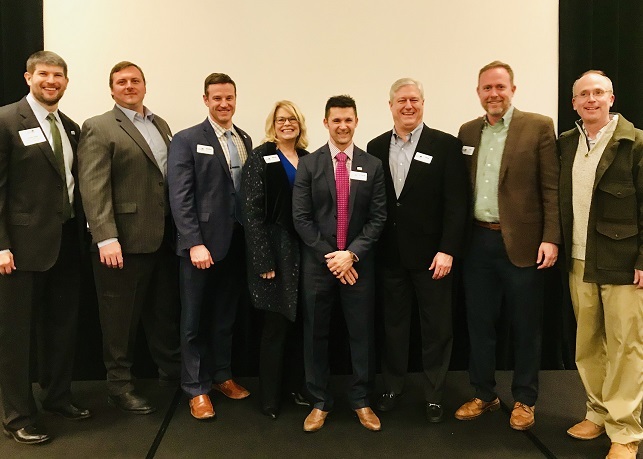 The Greater Atlanta Home Builders Association (GAHBA) held its 2019 Installation and Awards Program on Thursday, January 17, at the Omni Hotel at The Battery Atlanta. Guests enjoyed a cocktail reception followed by the installation ceremony. During the event, the GAHBA’s 2019 executive officers and board members were sworn in, and award winners for 2018 were recognized. Atlanta-area builder Vince Longo took the oath of office that night to become 2019 President of the GAHBA. He started his company, Vincent Longo Custom Builders, in 2000 and has been an active member of the GAHBA since 2007. In his speech delivered at the installation, Longo outlined his plans for the upcoming year, including increasing engagement among members.